Widgets are web-based building blocks that display data from Market Chameleon on another web site. Widgets can be easily integrated into virtually any web site by adding a couple lines of code! Users benefit from access to Market Chameleon's wealth of data without having to navigate to Market Chameleon's web site. Implemented to load with minimal performance impact on host web page. Reside within <iframe> tags in host web page for maximum security. Your webmaster sets the vertical and horizontal size. The Comprehensive Earnings Calendar Widget is virtually identical to the Earnings Calendar page which appears prominently on Market Chameleon's web site under the "Earnings" menu. 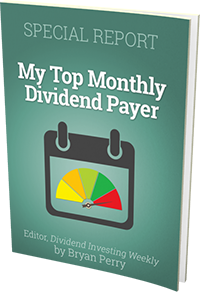 The Comprehensive Dividends Calendar Widget is virtually identical to the Dividend Calendar page which appears prominently on Market Chameleon's web site under the "Dividends" menu. Displays the most active stocks, biggest gainers and biggest decliners in separate sections from either Pre-Market or Regular Trading or After-Hours session depending on the time of day. The "Most Active" section is explanded by default. The "Gainers" and "Decliners" sections can be expanded by clicking on "View More".